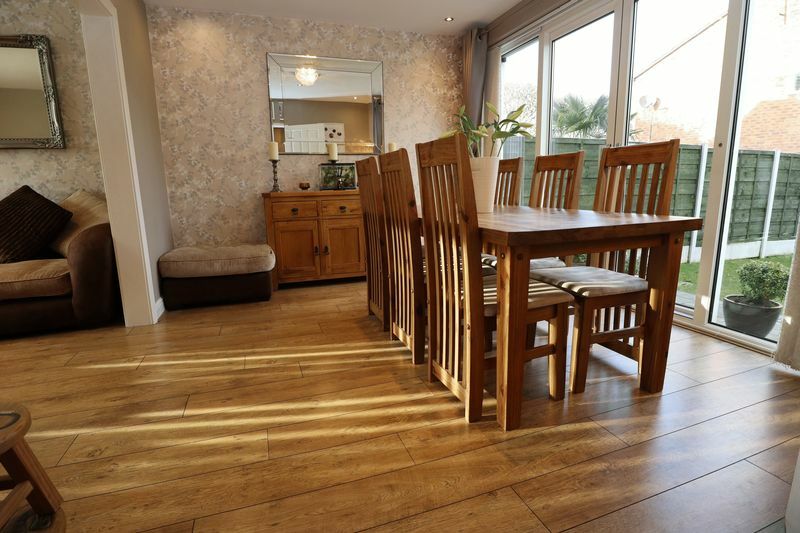 This beautifully presented family home offers deceptively spacious accommodation and has been lavished with a stunning re-fitted kitchen and has a contemporary bathroom. 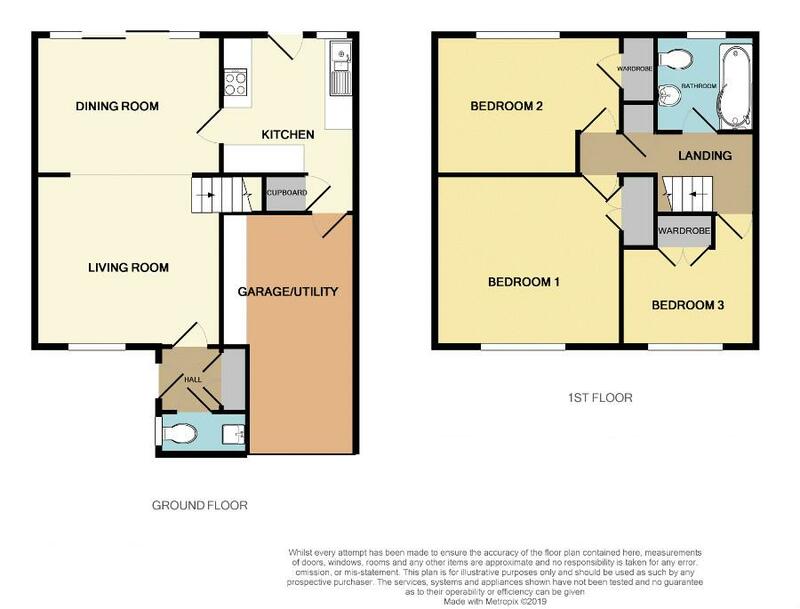 The large 18ft garage incorporates a superb utility area and there is also a very handy modern ground floor wc. 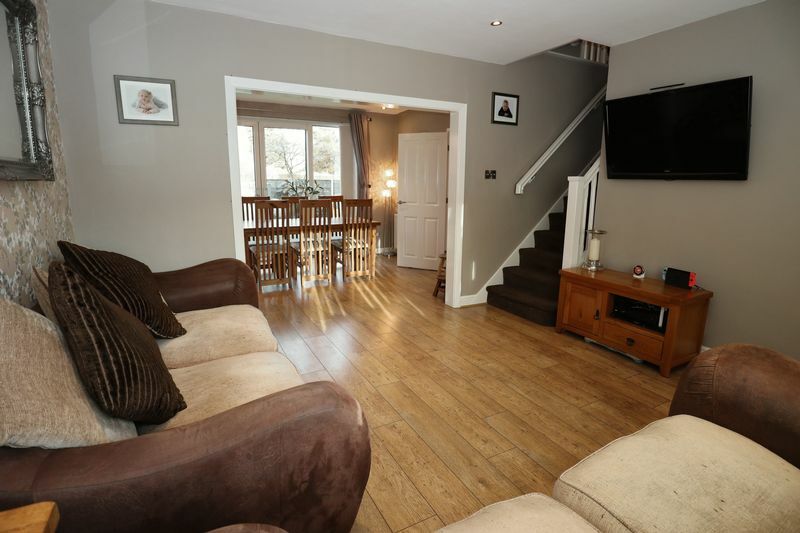 In brief the full accommodation comprises; entrance hall with storage, ground floor wc, large living room opening to the dining room, luxury kitchen with a range of integral appliances and the garage/utility area. 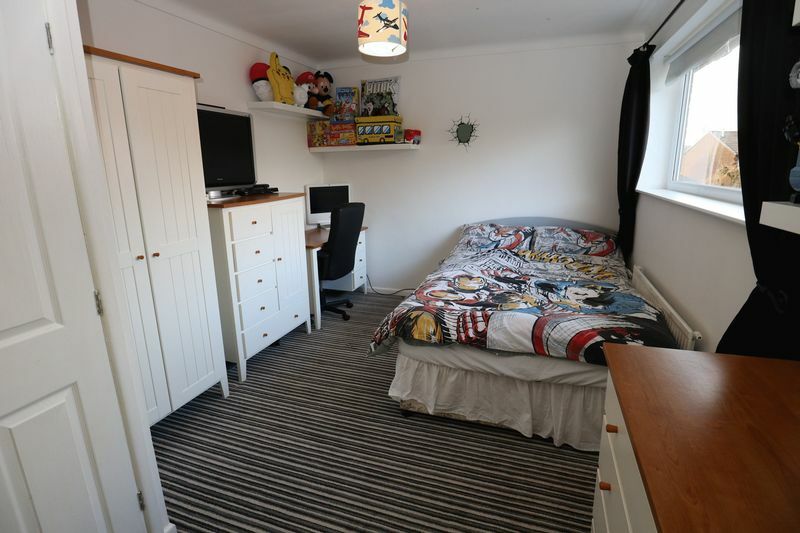 To the first floor there are three well-proportioned bedrooms (all with built-in wardrobes) and the well-appointed bathroom. 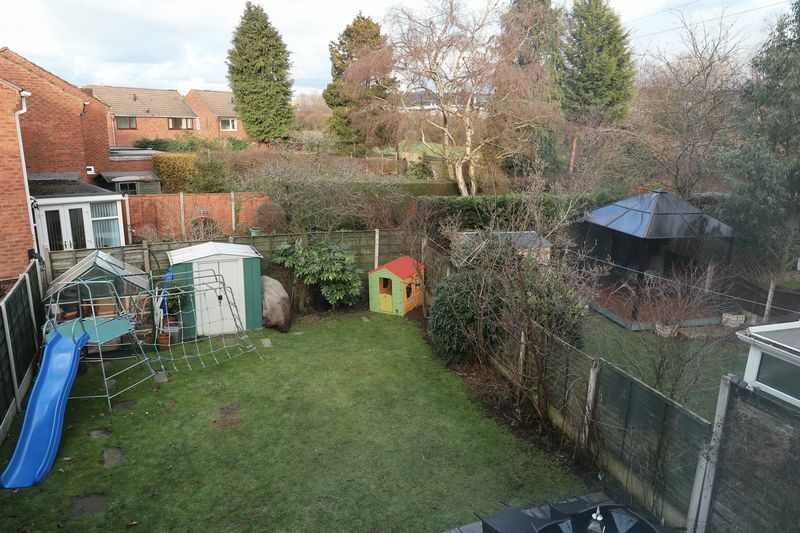 Special mention also needs to be given to the generous rear garden, which is an ideal size for most family's needs, and being fully fenced, feels very secure. The garden enjoys a good degree of privacy from the rear. 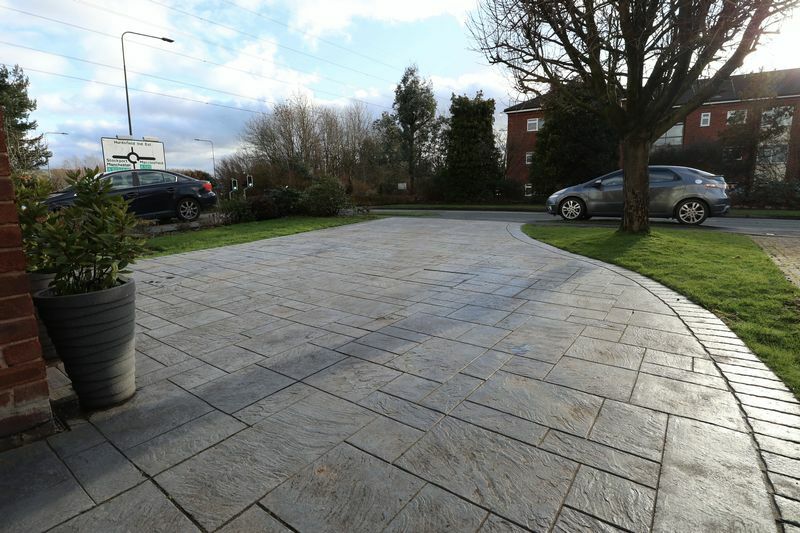 To the front is an extensive double width concrete printed driveway and a further lawn. 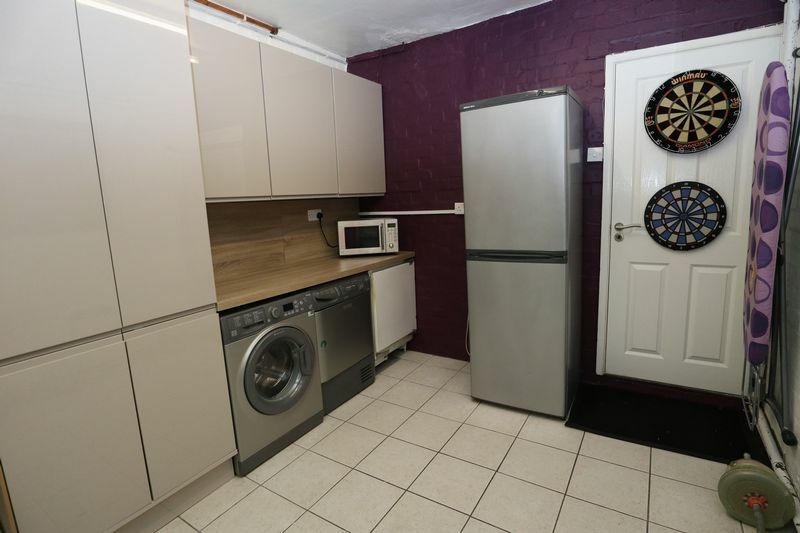 The vendors have recently replaced central heating boiler with a modern Vaillant combi and the property has double glazing. 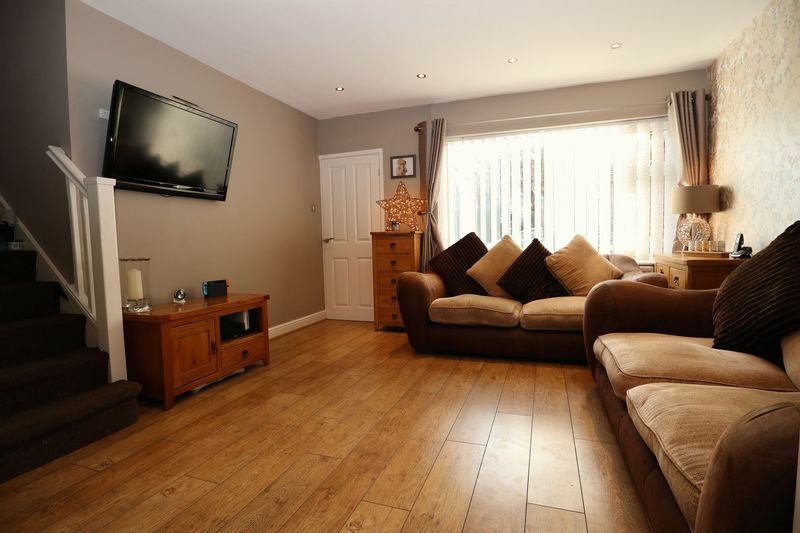 The handy location allows for easy access to the immensely popular local junior/secondary schools and there are the convenient Tytherington shopping facilities just a few minute's walk away. 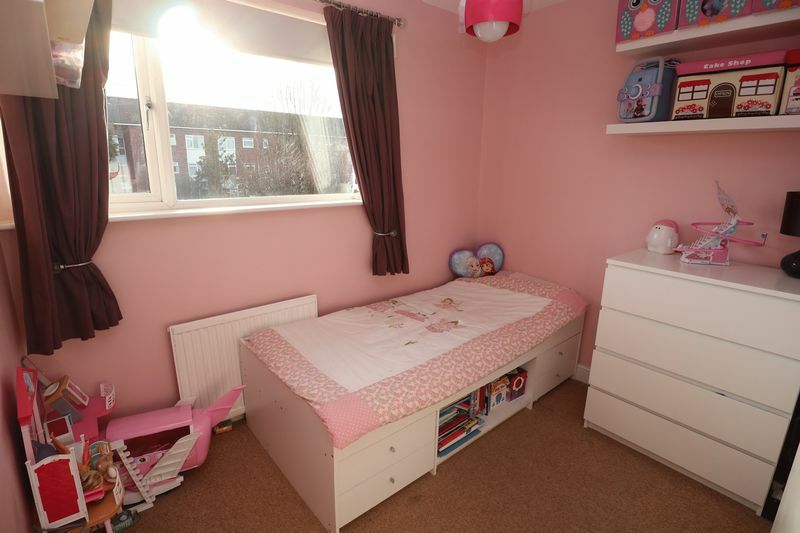 We urge a prompt viewing of this fantastic home to avoid disappointment. Composite front door with double glazed side window, built in cloaks cupboard. 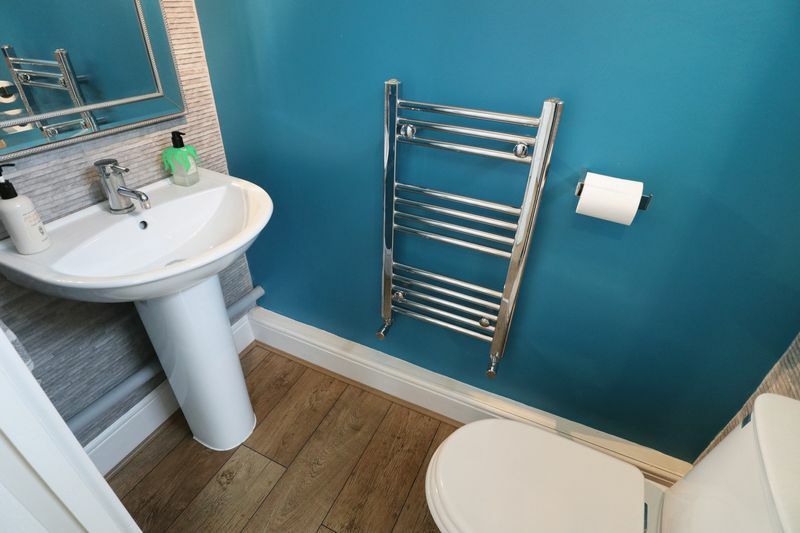 Pedestal washbasin, low level WC, ladder towel radiator, double glazed window. 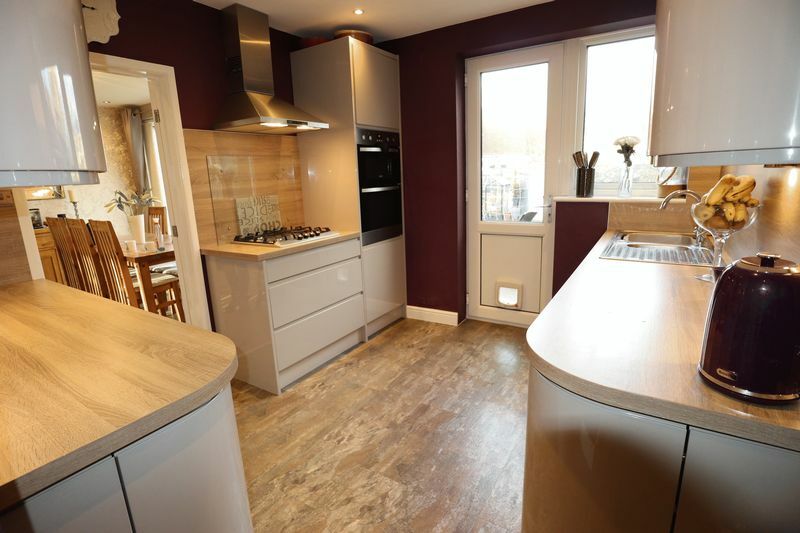 Double glazed window to the front elevation, laminate flooring, radiator, tv point for wall mounted tv, archway through to dining area, stairs to first floor. 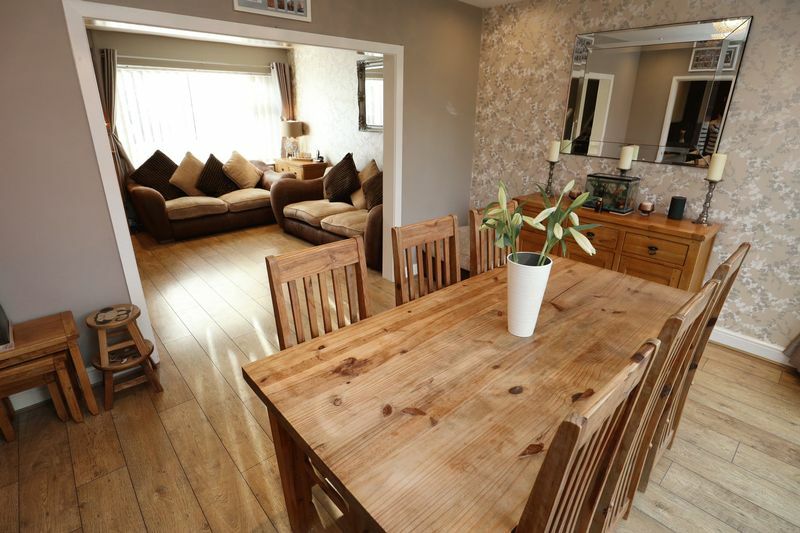 Radiator, double glazed sliding patio doors to the garden, double glazed side windows, wood effect laminate floor. Re-fitted high gloss units to base and eye level with under-lighting, glass display cabinets, wood effect work tops with matching splash backs, Bosch integral gas hob and stainless steel extractor over, Zanussi double electric oven, integral dishwasher, integral fridge, double glazed door and windows to rear, feature vertical radiator, under stairs storage cupboard, access to garage. Double glazed window to the front elevation, built in wardrobe, ceiling down lighters, radiator. 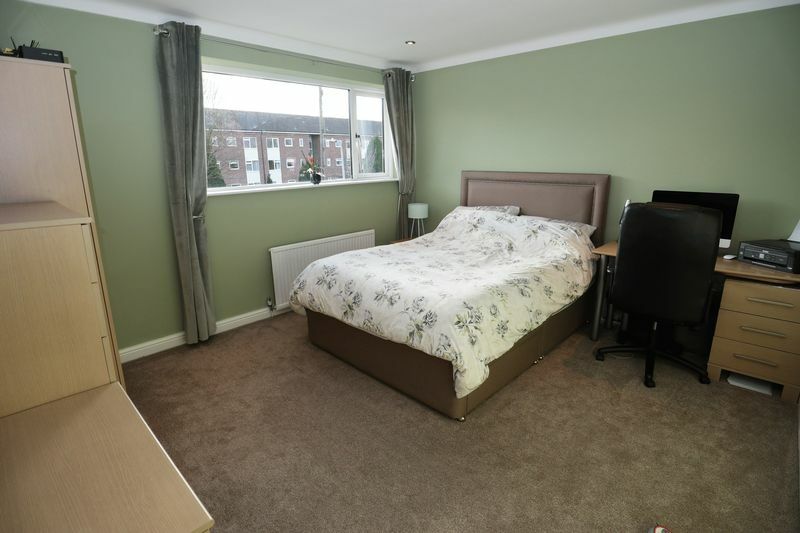 Double glazed window to the rear elevation, walk in wardrobe housing Vaillant combination central heating boiler, radiator. 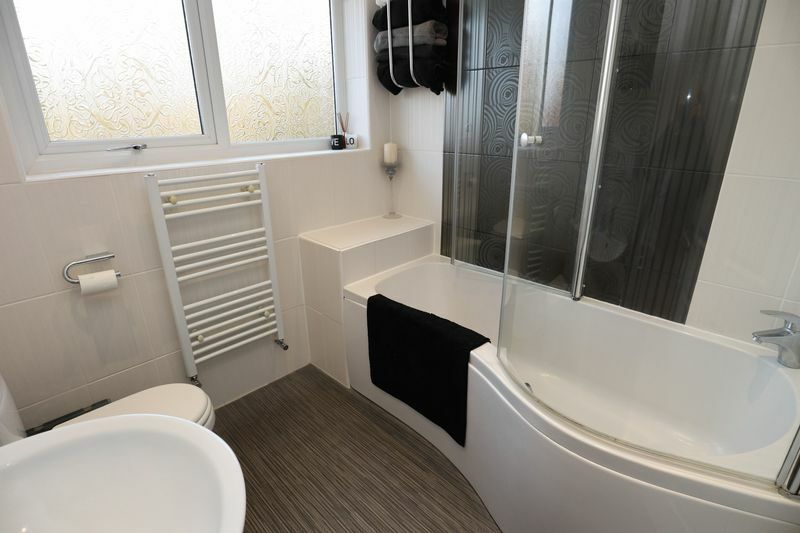 Modern contemporary white bathroom suite comprising of a panel shower bath with shower over and curved screen, pedestal wash basin, low level wc, tiled walls, ladder towel radiator, double glazed window to the rear elevation, extractor fan. 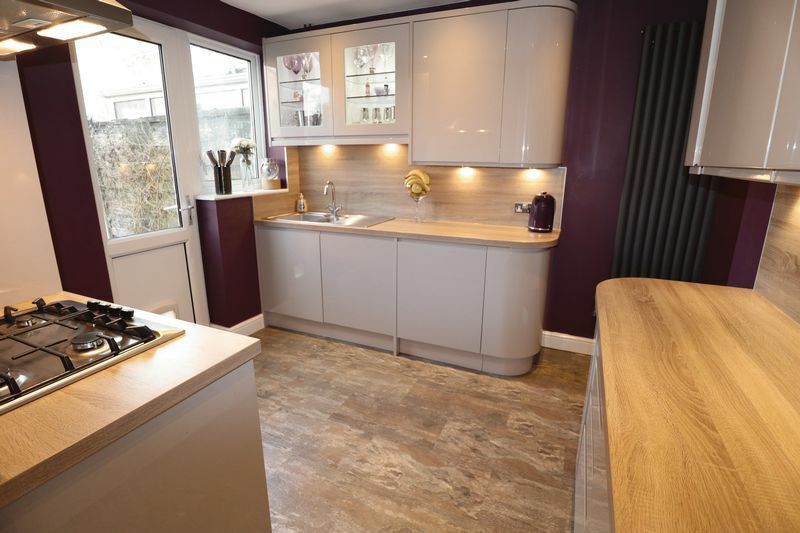 Incorporating a utility area with high gloss kitchen units (matching those in the kitchen) to base and eye level with wooden effect worktop and matching splash-back, plumbing for washing machine, remote control electric roller door, power, light and water tap. 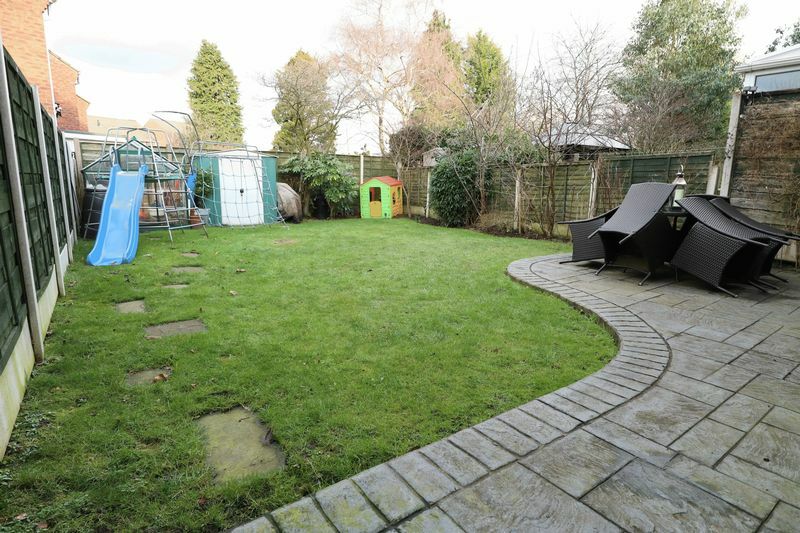 To the rear of the property is an attractive lawned garden with well-stocked borders and a patio area. The garden is fully fenced and is therefore very secure. 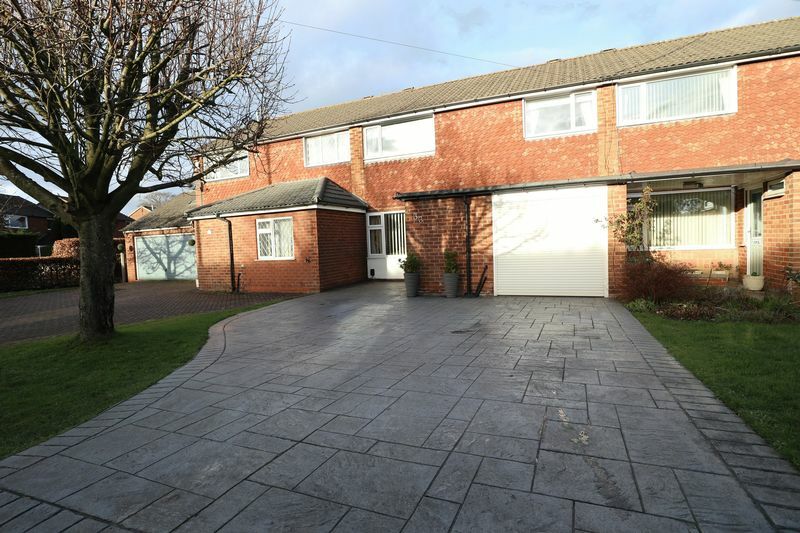 To the front is an extensive concrete printed driveway providing ample off road parking and a further lawned area.